Process - Hugo Lamdin Furniture - Bespoke furniture maker, Oxfordshire. 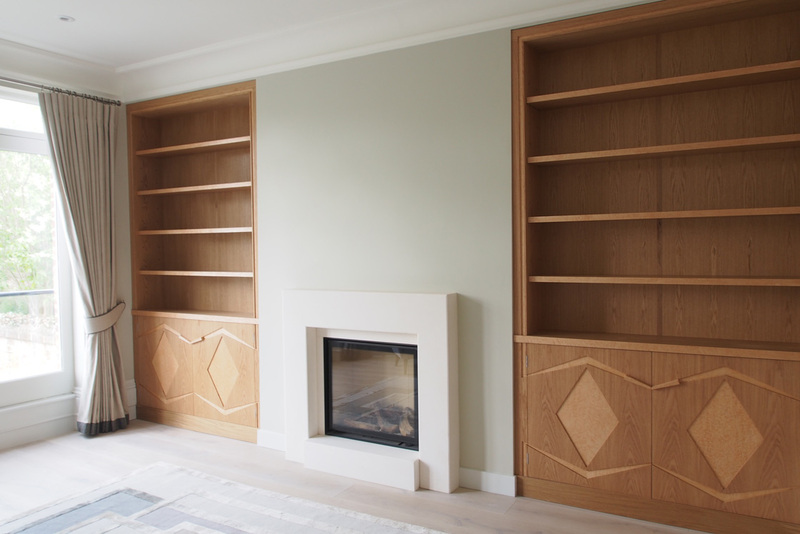 - Hugo Lamdin Furniture – Bespoke furniture maker, Oxfordshire. Hugo can meet in his workshop or come to you to assess a particular space and work out how best to enhance it. 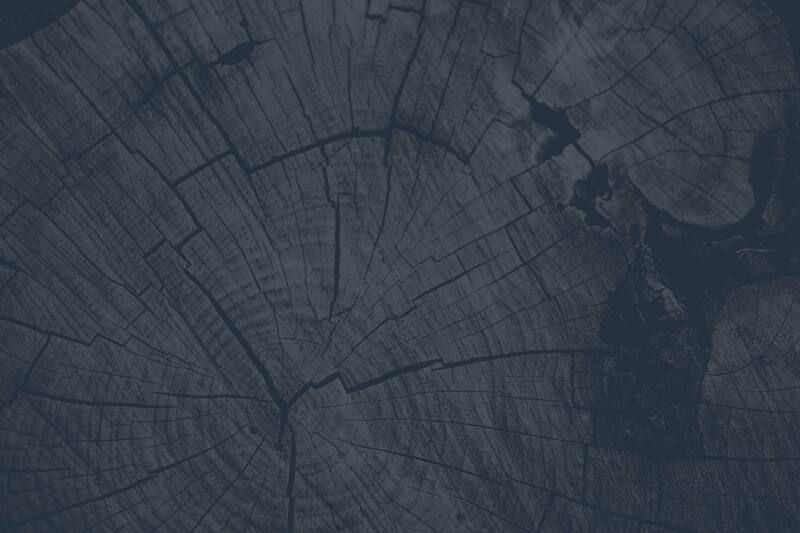 Whether it’s a solid oak dining table, kitchen cabinet or garden bench, this is the time to discuss materials, function and design requirements and to take initial measurements. As soon as Hugo has a good idea of your vision, he will then produce a series of loose sketch drawings for review. Once you are satisfied with the design these are then drawn up to scale, and can also be accompanied by scale models, if required. Once building is underway Hugo will keep you regularly updated, welcoming you to the workshop if you wish to see the development of your piece first hand. You may consult with Hugo during the building stage as many or as few times as you like: his objective is to see your vision perfectly realised. When the finished piece is ready Hugo will deliver and install your furniture at a time convenient to you, making sure that this last stage is completely hassle-free. All you need to do is sit back and enjoy it. 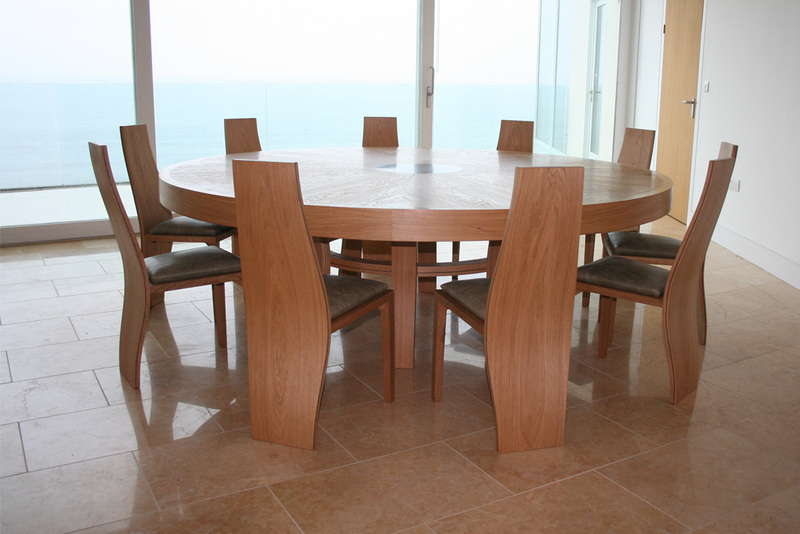 A huge, nautical-inspired dining table made from oak and ebony, with a matching sideboard and 12 curved-back chairs. When a client comes to you requesting a vast oak 2.3-metre-wide dining table, a matching 3.5-metre-long sideboard and two-dozen dining chairs, it poses an aesthetic challenge. How to make the furniture work structurally, without it appearing crude and over-imposing? Hugo built graceful curved-back chairs, designed around the natural shape of the body, and echoed the curves of the chairs with curved table legs. On the nautical vein, he designed a starburst veneered pattern for the table surface, inlaid in ebony, to reflect the points of a compass. Fine detail and a dexterous tying together of the elements, not to mention the personal transportation from workshop to coastal Isle of Wight: the customer was very happy. 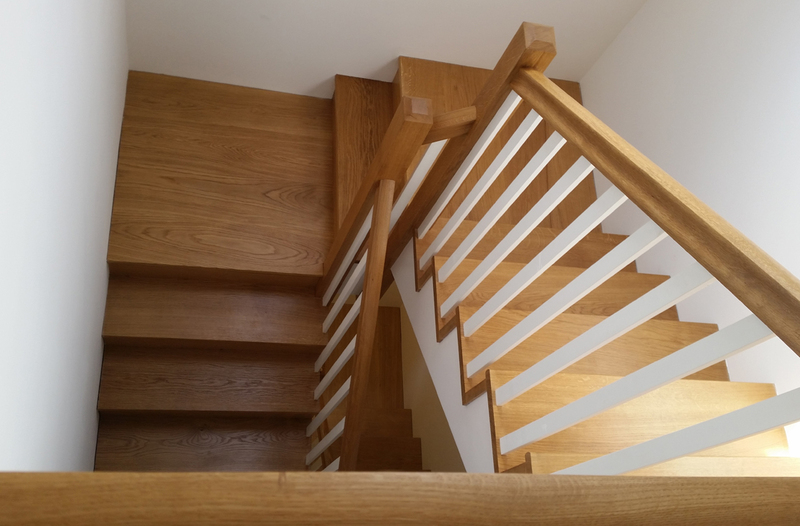 Building a brand new oak staircase in a sprawling three storey house: a feat of architecture and engineering. Building a staircase is no easy task, especially one that ascends through the entire house. Firstly, there’s the challenge of getting all the wood inside the building in large sections. Secondly, the challenge of making it all fit, of following building regulations and ensuring there’s just the right number of turns and steps. Hugo set about taking measurements and making extensive drawings for this project, planning it all meticulously. His research, however, led him to the conclusion that in order to achieve the desired staircase the house itself would have to be altered. An entire floor was moved back before the staircase was completed, but, once finished, it brought new unity and gracefulness to the home. Satisfying a couple’s two very different visions for bespoke fitted cabinets, while bringing a touch of modernity to a Victorian-era house. When this couple first approached Hugo to make some bespoke cabinets for their Victorian-era Oxford townhouse, they had quite different ideas. One wanted the cabinets to be curved, the other angular. And to further complicate matters, their brief was to create something contemporary but also in keeping with the property’s Victorian style. Hugo had to find a way of ticking all of these boxes. Originally designing the Bird’s Eye Maple cabinet panels as oval-shaped, Hugo adapted them to become diamond-shaped, making them appear sharper and more contemporary. The diamond shapes, however, were set off beautifully by the angular cabinet lines, seeming to flow smoothly around them and through them, bringing uniformity, and a certain classicism, to the whole piece. In the end, both partners were pleased, despite their original visions being so different.